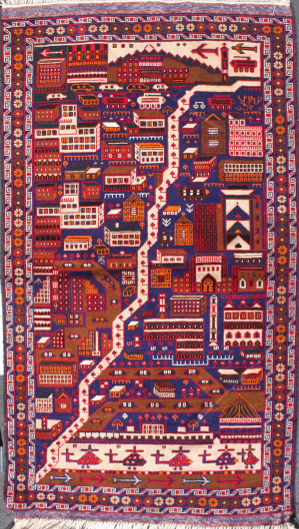 Blue and red medallions alternate with geometric patterns to create the main border. 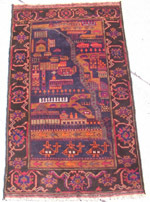 The strong and beautiful dark colors in this rug set a somber tone for the occupied town depicted. The field is a deep navy blue and the border is primarily black. These two hues, while similar values (light and dark) offset each other nicely chromatically. 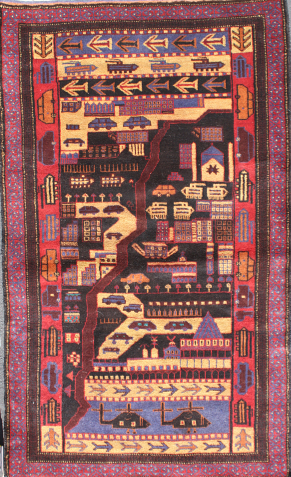 This is a subtle and tasteful rug with subtle motifs.